As a security professional for a campus setting, assuming regular responsibility for the organization’s existing security measures and procedures helps to ensure that a safe healthcare campus environment is in place and functional for everyone involved. 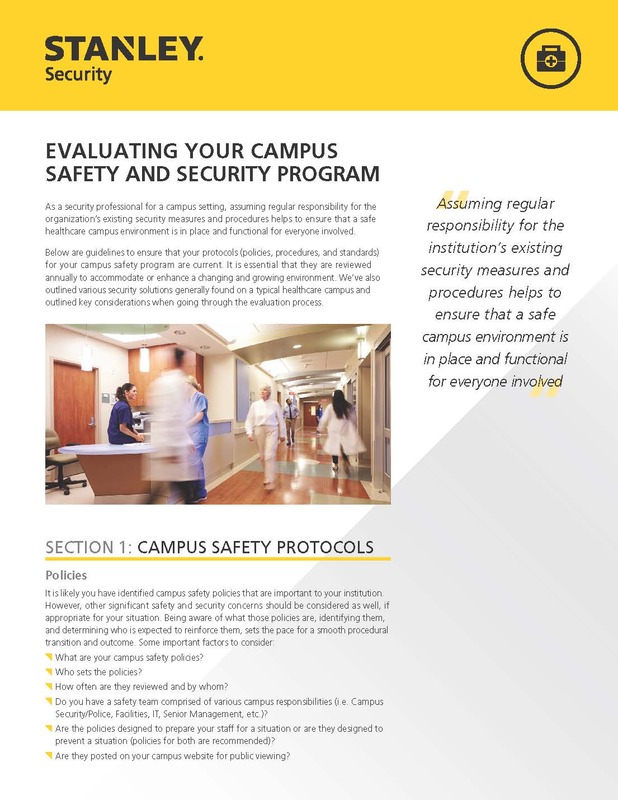 This article discusses the guidelines to ensure that your protocols (policies, procedures, and standards) for your campus safety program are current. It is essential that they are reviewed annually to accommodate or enhance a changing and growing environment. We’ve also outlined various security solutions generally found on a typical healthcare campus and outlined key considerations when going through the evaluation process.